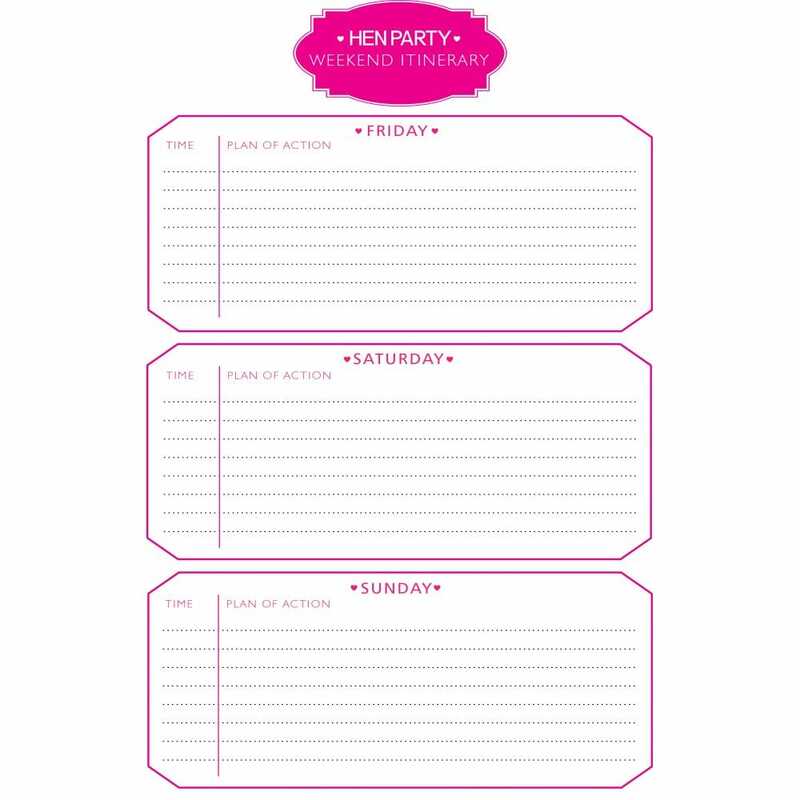 We all know girls that a well organised hen party means an amazing hen party, so help your guests prepare for all eventualities by letting them know the itinerary for the weekend. This means they can organise their clothes, extra money and how many pairs of shoes to bring!! It also stops all the guests asking the plans over and over again. Tip: Send out individual itineraries for each hen before the hen do.